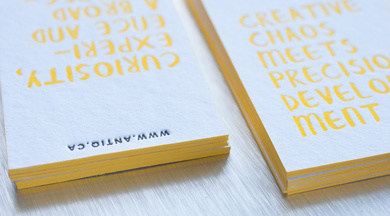 We use premium grade paper for our letterpress process to ensure your product is the best it could be. A time-honoured ritual as much as a tool, the renowned Heidelberg press is a testament to superior workmanship and an unyielding desire for quality. An imposing figure in any printing house, our original Heidelberg is an integral part of our printing processes. 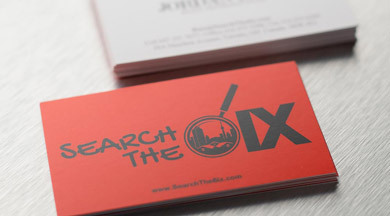 Give your business cards the extra edge it needs to stand out and express your brand. 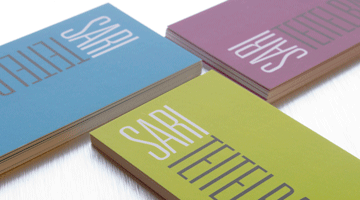 Choose from our range of special finishes – Spot UV, Foil Stamp, and Letterpress. 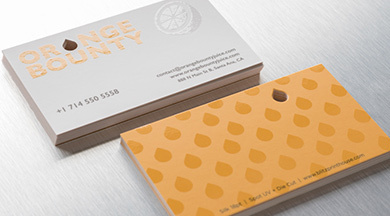 Give your cards some shine with Spot UV, emphasize the important parts of your card with a layer of eye-catching gloss. For those that want a vintage take on their business cards, try our Letterpress cards printed with our classic Heidelberg windmill press. 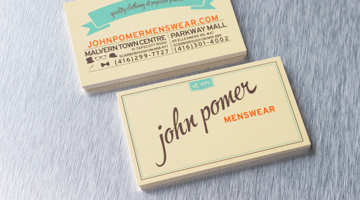 These cards are printed on uncoated paper with a pulpy untreated texture. If you looking for a card that gives off an organic feel, this is the stock for you. These cares are laminated with a matte "silk" finish designed to offer a smooth surface and additional durability. 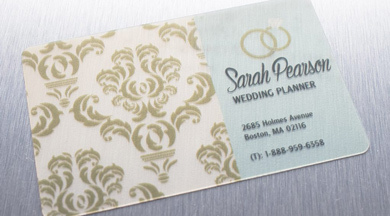 Laminated with a "soft touch" film, these cards gives off a luxurious feel in your hands. Thicker than the standard Natural stock, these Thick variants comes in Double Thick 22pt. and Triple Thick 34pt. 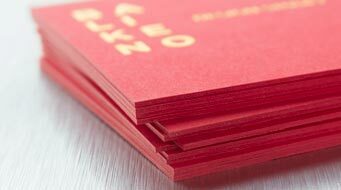 This is a premium grade stock that allows special finishings such as foil stamping, blind debossing, and edge painting. Thicker than the standard Silk stock, these Thick variants comes in Double Thick 22pt. and Triple Thick 36pt. 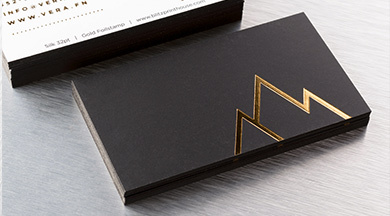 This is a premium grade stock that allows special finishings such as foil stamping, blind debossing, and edge painting. Thicker than the standard Suede stock, these Thick variants comes in Double Thick 22pt. and Triple Thick 36pt. 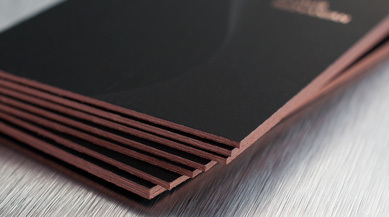 This is a premium grade stock that allows special finishings such as foil stamping, blind debossing, and edge painting. If you need cards in large volume while still keeping it economical, the Satin stock will get you the most for your buck. Perfect for large give away purposes like coupons and loyalty cards. Our kraft stock are made from 100% recycled material. 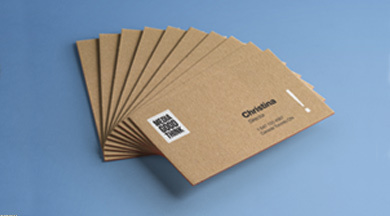 These brown uncoated paper are great for that rustic look while keeping it eco-friendly. Available with white ink. 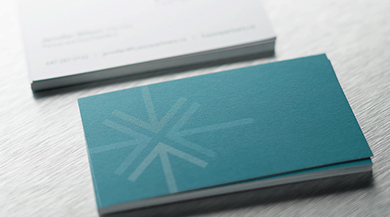 A specialty “paper” stock, these cards are printed on frosted plastic. Durable and long lasting. Single sided printing only. Round corners included! 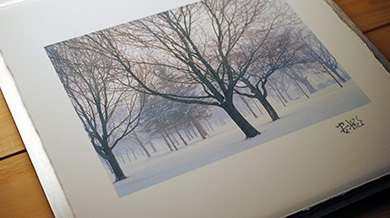 Turn your artworks into beautiful prints! 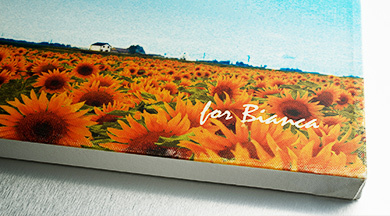 Choose from our classic Photo Papers, art-oriented Watercolour Papers, and painting-style Canvas Wraps. 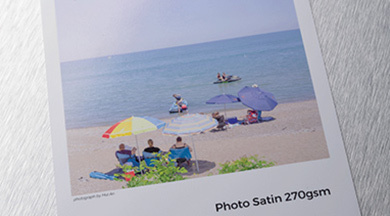 We also print high quality booklets using our digital offset press! 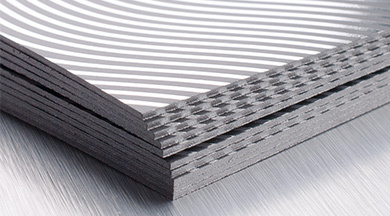 See our various binding options including Saddle Stitch, Metal Wire, and Perfect Binding. Experience our quality first hand!